The Detroit Zoological Society (DZS) has conducted programming with Oakland County Children’s Village for more than eight years, instilling reverence and respect for wildlife and wild places through gardening, education and conservation programs. Children’s Village provides a safe, structured environment for children and young adults that includes secure detention, residential treatment and shelter care services. Our collaboration initially began with a humane education-focused gardening program, which is still flourishing, but our programming has evolved over the years and we’ve had the opportunity to work with hundreds of young people there in various capacities. One of our most recent endeavors was conducting FrogWatch USA training with some of the teen girls that we work with. FrogWatch USA is an amphibian conservation and citizen science collaborative effort among the Association of Zoos & Aquariums (AZA) and AZA-accredited zoos and aquariums throughout the U.S. Citizen science programs teach volunteers to collect data using the same protocol and methods, so all data can be counted as part of a scientific research project. One scientist working alone could never collect the amount of information a group of trained citizens can. 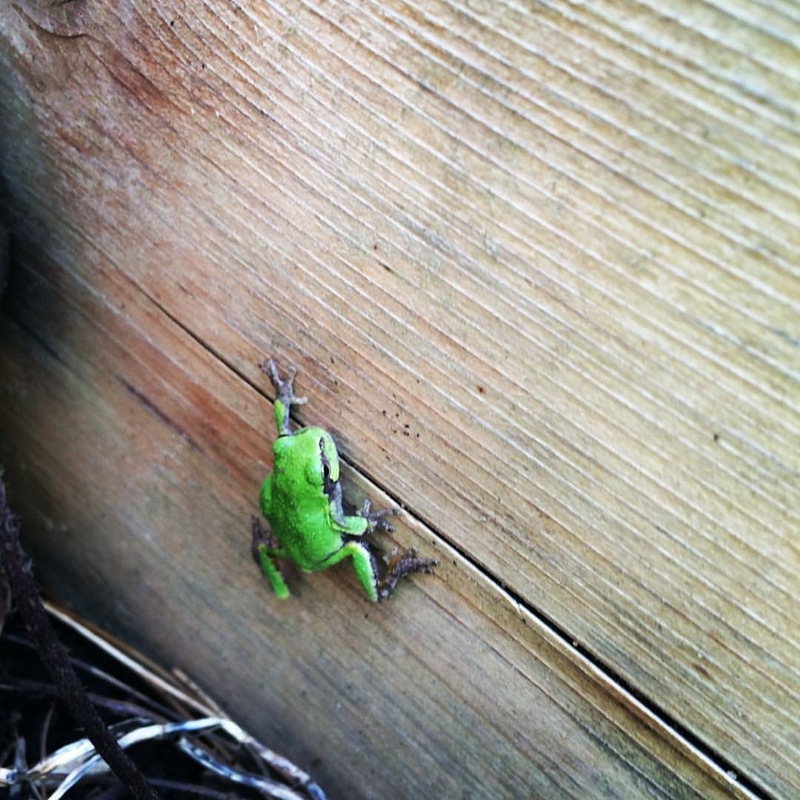 I recently went to Children’s Village along with Rebecca Johnson, the DZS’s associate curator of amphibians, to facilitate the FrogWatch USA training onsite. Rather than a traditional four-hour training, which takes place in one sitting, we divided up the training to take place over the course of two days in late March. The girls learned all about amphibians, how to identify frogs and toads by their breeding calls and what information we need to include on the data sheet when we go out and survey. 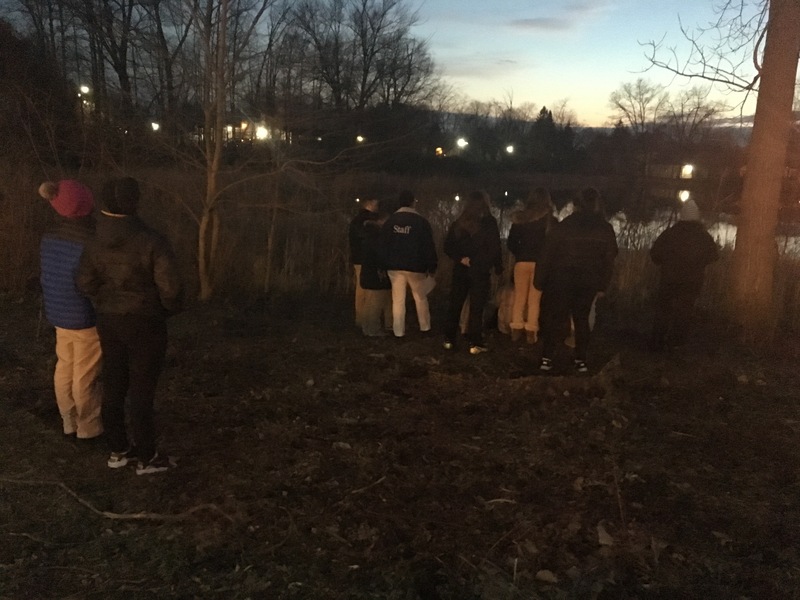 We discussed how monitoring helps provide important information for each site, such as the diversity, population size and health of the particular frog or toad species that are present; whether or not there are rare or nonindigenous species in the area and what the overall health of the wetland is. Knowing which species are present at a site can even help improve the management and protection of a wetland and all species living there. The girls have been working hard to learn the different frog and toad calls – they’ve been listening to a practice CD and identifying key characteristics that help to distinguish the different calls from one another. For example, a Western chorus frog call sounds like someone is running their fingernails along a fine-toothed comb and a wood frog sounds similar to the quacking of a duck. Becky and I have accompanied the girls on their first outing to conduct surveys. This work must take place at least a half hour after sunset, so we went to our selected site at 8:30 p.m. There were 10 girls, three Children’s Village staff members and the two of us. When we arrived at our designated location, we remained still and quiet for two minutes per FrogWatch USA protocol, and then we listened and collected data for three minutes immediately following. We heard a few different birds calling and something rustling in the reeds, which, much to our excitement, turned out to be a muskrat who eventually swam across the pond. A few of us even saw the space station travel overhead! But unfortunately, no frog or toad calls were heard. 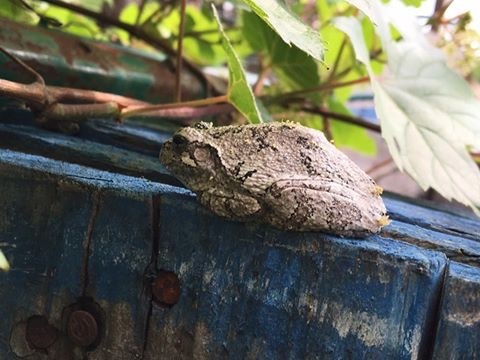 Fortunately, we’ve seen many American toads and even some tree frogs in the almost nine years that we’ve been facilitating the gardening program onsite, so we know we’ll hear calls soon. In the interim, it’s important for us to note on our data sheet that we didn’t hear anything, just as it will be important for us to document the calls that we will eventually hear. To have a meaningful impact, we’ll need to collect data at least eight different times – no more than twice in one week – through August. Becky and I are planning to go out for another evening observation soon. After that, the girls and Children’s Village staff will continue on their own. I’m excited to see what unfolds this summer. It’s been an amazing experience for all involved thus far. – Lisa Forzley is the curator of humane education for the Detroit Zoological Society and oversees the Berman Academy for Humane Education. 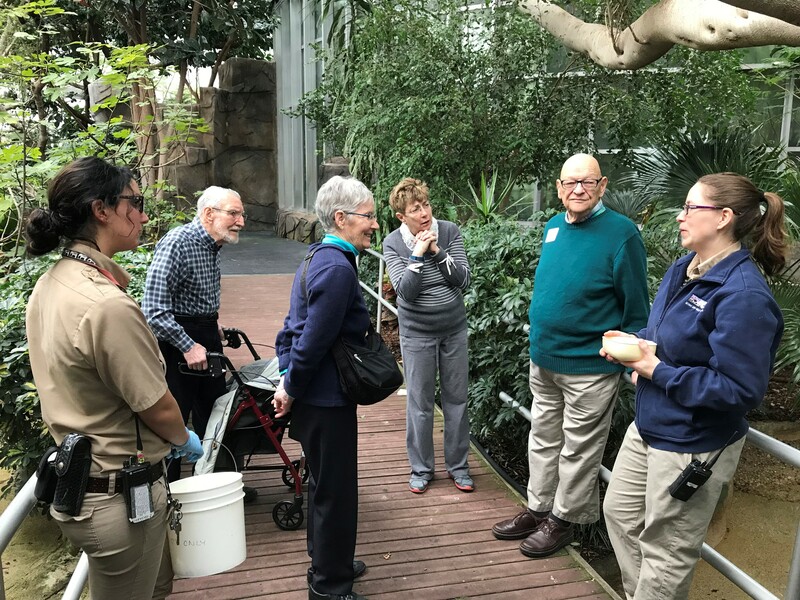 The Detroit Zoological Society (DZS) has partnered with the Alzheimer’s Association-Greater Michigan Chapter to bring its Community Connect program to the Detroit Zoo. This program provides a broad range of socialization and culturally significant events and outings for people living with Alzheimer’s disease and other forms of dementia, as well as for their care partners. 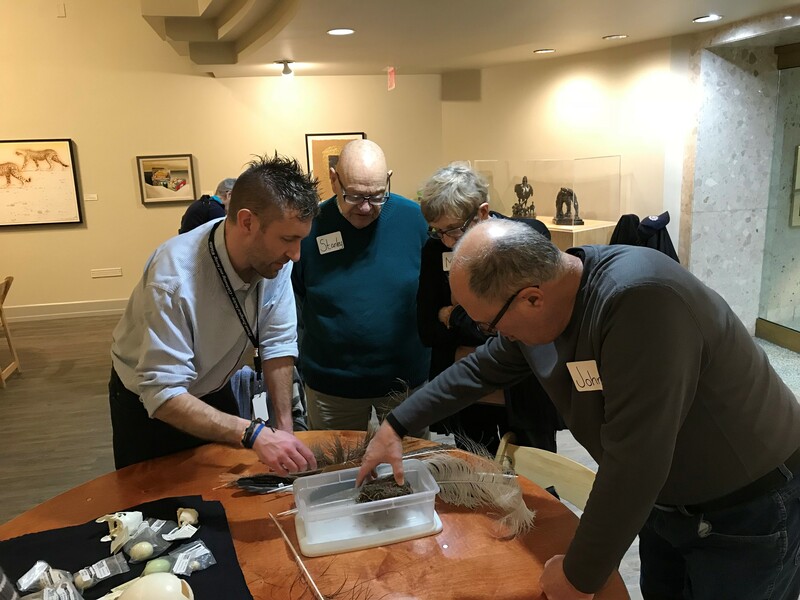 As part of this effort, we developed “Minds in the Wild”, a fun learning experience at the Detroit Zoo that includes a tour, conversations with animal care staff and hands-on activities that allow for individuals to practice gross motor movement while exploring the animal world. The Alzheimer’s Association works on a local, national and global level to not only find a cure for and prevent this debilitating and fatal disease, but also to provide care and support for the more than 5 million people affected by it. We have seen the impacts for the people who participate. One gentleman shared a story of how discouraged he felt when he was first diagnosed with Alzheimer’s disease, but he added that this program has given him a reason to leave the house. He now looks forward to attending each month, and enthusiastically participates in the activities as he builds relationships with DZS staff. 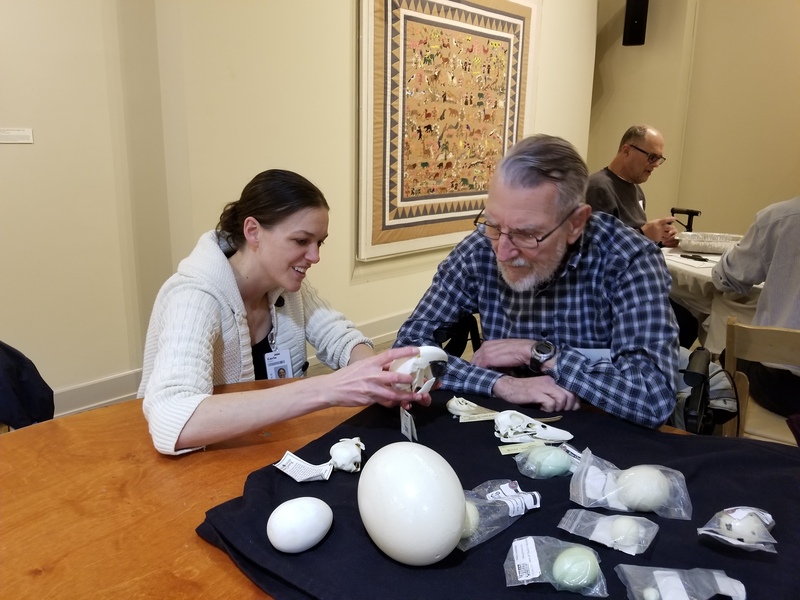 Just as each animal in the care of the Detroit Zoological Society receives individualized attention, our education programs focus on meeting the needs of all of our learners. Every student – from toddlers to seniors and all ability levels – can experience the impact of creating connections with wildlife and wild places. Amphibian breeding season is here! That means it’s time to start helping amphibians get in the mood for love and romance. 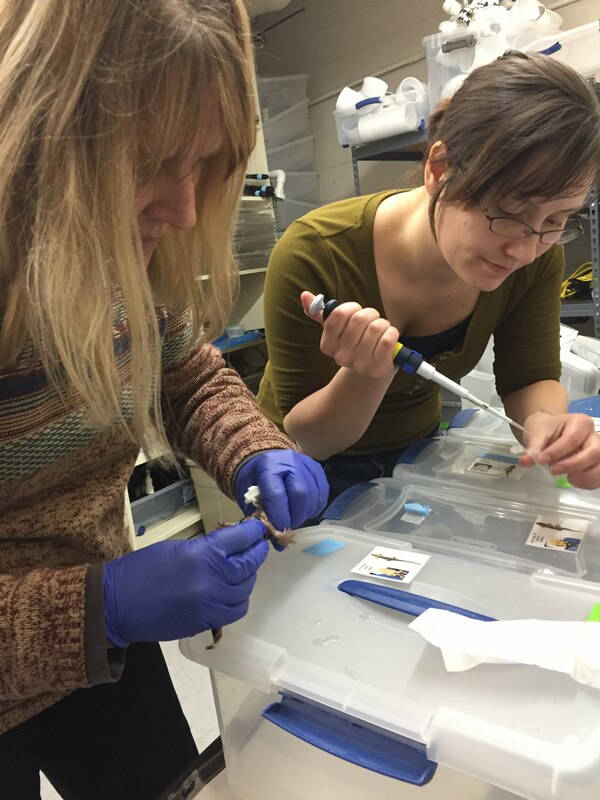 The Institution of Museum and Library Sciences (IMLS) recently awarded a $500,000 National Leadership Grant for the purpose of improving reproduction within captive assurance colonies of imperiled salamanders. 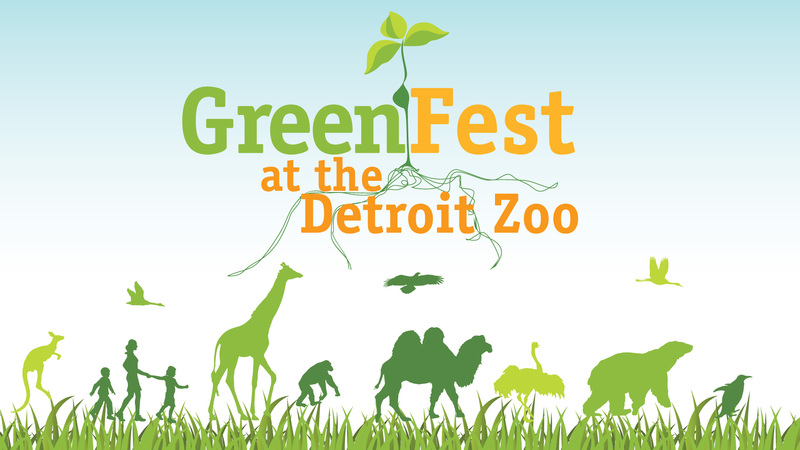 The Detroit Zoological Society is one of the primary partners on this grant. My doctoral research focused on salamanders, their reproductive physiology and techniques to help them breed, and that very research was the basis for the recent IMLS grant proposal. Other partners on the grant include Mississippi State University and Omaha’s Henry Doorly Zoo and Aquarium. Now that the grant was awarded, techniques must be taught to the other partners so we can all work together in salamander conservation efforts. 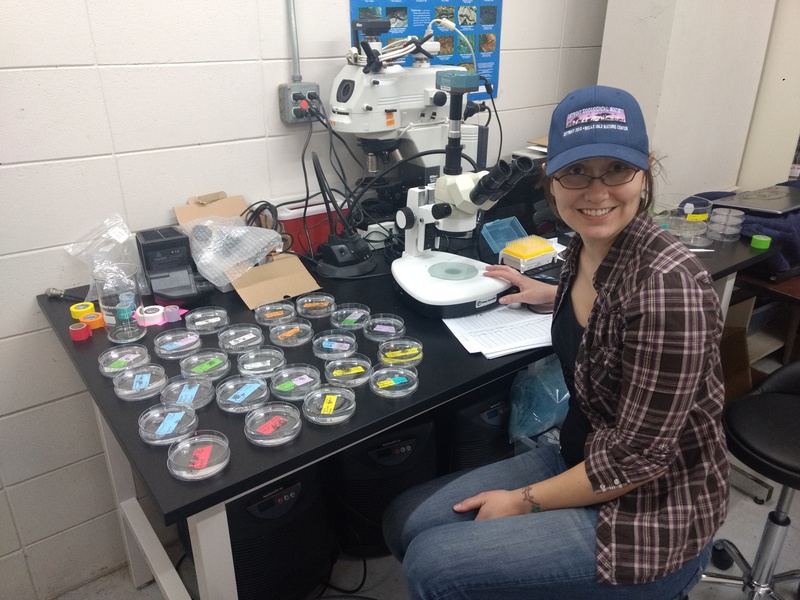 I recently visited Mississippi State University in order to train the other principal investigators and the graduate students involved on this salamander grant in principles of natural salamander reproduction and performing assisted reproduction techniques with salamanders. The training session involved eastern tiger salamanders (Ambystoma tigrinum), which are regionally threatened and endangered in various areas of North America. Like many species of salamanders, the tiger salamander is very difficult to breed in human care. Similar to other species in the “mole salamander” family, tiger salamanders respond to changes in air pressure and temperature when seasonal rain storms occur. These storms are what cue breeding behavior and are very difficult to replicate in human care. 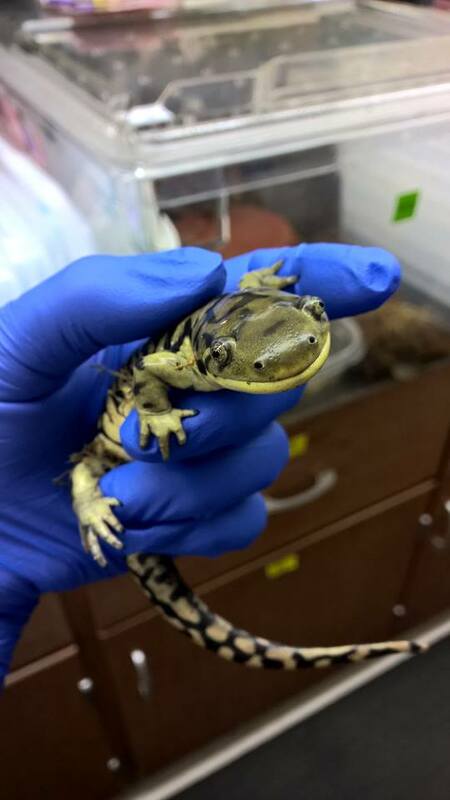 Without the ability to provide the appropriate “mood”, tiger salamanders in human care will not often feel romantically inclined. Natural breeding is always the first goal when breeding animals for conservation, but sometimes this is extremely challenging. In these cases, we use alternative techniques while we perfect replicating the natural breeding environment. 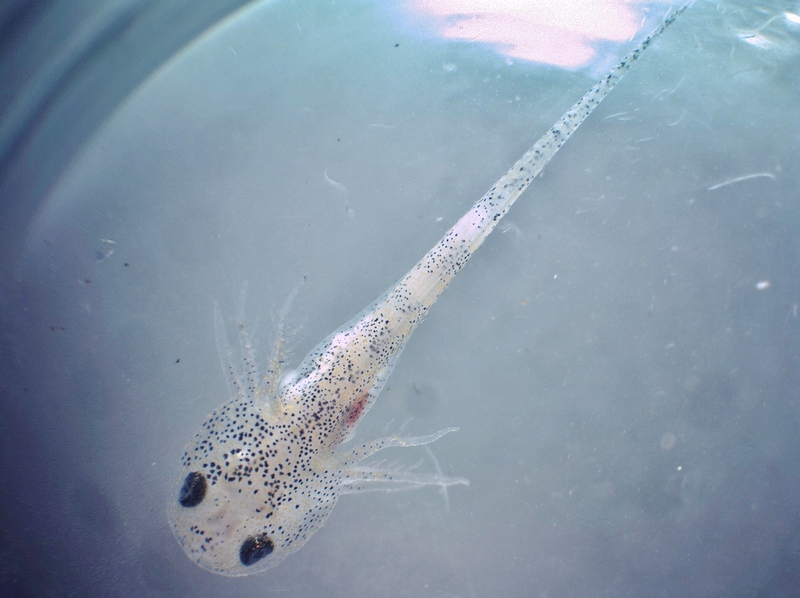 In vitro fertilization is a technique used to assist salamanders and other amphibians in breeding. Most salamander species undergo internal fertilization, in which the female picks up a capsule of male sperm, called a spermatophore, which the male has deposited into the environment. The female holds the sperm in an internal pouch that she later empties over her eggs as the eggs are laid. In in vitro fertilization of salamanders, sperm is collected from males by giving them a massage. Eggs are then collected from the female into a small dish where sperm is placed on top of the eggs. Just add water, and presto, you have salamander babies. Of course, it is never just that easy, but the concept is straightforward. 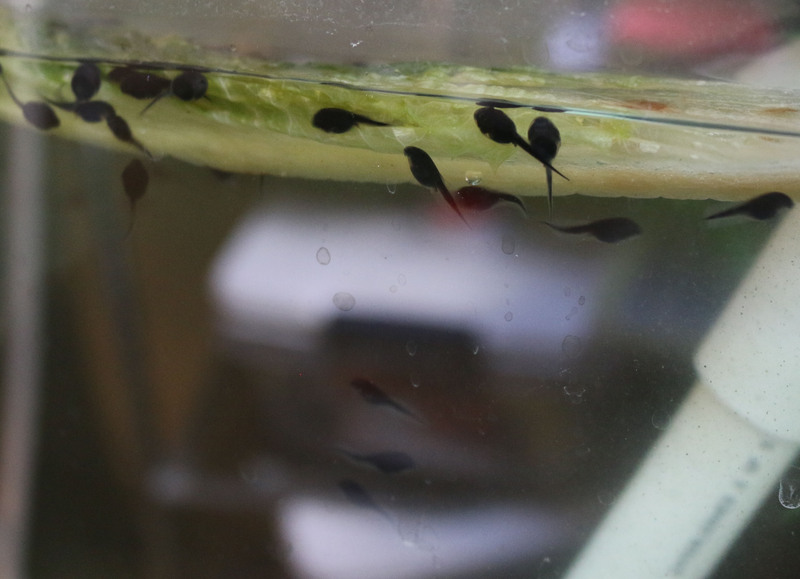 I trained the other primary investigators and students in other techniques as well, including cryopreservation – or freezing and long-term storage – of salamander sperm and sperm quality assessment. The training was very successful, with nearly 100 tiger salamander babies produced. Now the trainees can go on to teach more amphibian conservationists, and we can save more species by assisting with breeding! A 16-foot, metallic flower is now blossoming among the plants at the Detroit Zoo. This innovative ground-mounted solar panel system is called smartflower. This high-tech addition is just another step on the Detroit Zoological Society’s (DZS) Green Journey to create a more sustainable future by using innovative practices that minimize our ecological footprint. It is the first of its kind to be installed not only in Michigan but in any zoo in the country. Sunflowers turn their blossoms to face the sun to make optimum use of the light, increasing its growth rate. Since mother (nature) knows best, the creators of smartflower based the technology of this revolutionary system to function similarly to an actual sunflower, through the use of a GPS-based dual-axis tracker. The system features 12 solar panels – shaped to mimic petals – that follow the sun across the sky throughout the day. When the sun rises in the morning, the smartflower unfolds and aims its panels to the sky to begin producing energy. The petals will automatically close again when the sun goes down, storing the excess energy. Since the smartflower is always at an optimal angle to the sun, it can generate 40 percent more energy than a traditional solar-panel system. The smartflower converts enough energy in one day to run an electric car for 62 miles, wash 17 loads of laundry or run three air conditioning units. The system at the Detroit Zoo is expected to generate more than 4,000 kilowatts of electricity annually, enough to power the Carousel and other areas of the Zoo. 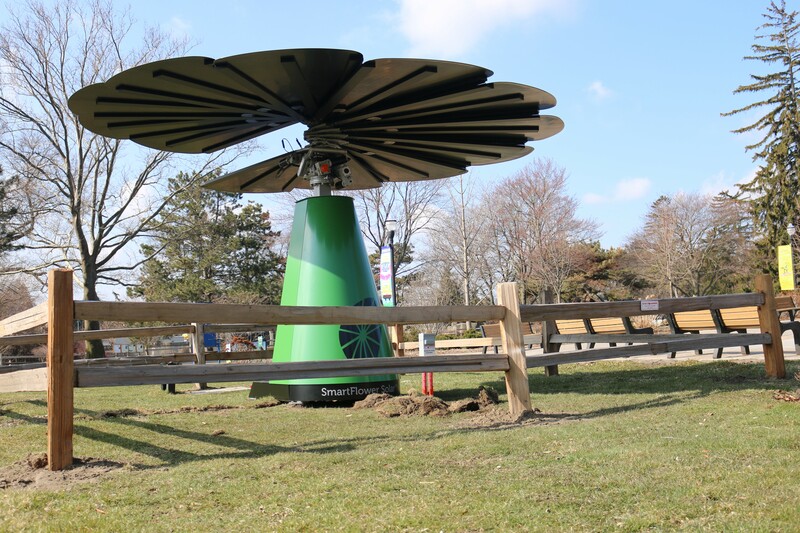 The smartflower will be in full view during the DZS’s annual pre-Earth Day celebration called GreenFest at the Detroit Zoo on April 14, from 10 a.m. to 3 p.m. The first 1,000 guests to visit the anaerobic digester educational display will receive a token for a 5-gallon bucket, courtesy of The Home Depot Foundation, to be filled with free Detroit Zoo Poo – an herbivore compost processed in the DZS’s anaerobic digester and produced in partnership with Detroit Dirt. The digester – the first in Michigan and the only zoo-based system of its kind – annually converts 400 tons of animal manure and other organic waste into a methane-rich gas that helps power the Ruth Roby Glancy Animal Health Complex. The event will also include a sustainability tour as they learn about the DZS’s many green initiatives. Guests can learn about permeable pavement, composting, recycling, preventing bird strikes, making a home more energy efficient and building backyard wildlife habitats. They can also explore farm-to-table food options at Pure Greens Café, widen their science knowledge during chemistry demonstrations, and take a green pledge, committing to joining us on our Green Journey. Staff members from the Detroit Zoological Society’s (DZS) National Amphibian Conservation Center and Center for Zoo and Aquarium Animal Welfare and Ethics are collaborating to find out what toads like. By doing so, we can ensure we are providing for their welfare while they’re in our care and also contributing to the conservation of this species in the wild. Wyoming toads (Anaxyrus baxteri), also known as Baxter’s toads, are considered extinct in the wild, and their numbers must be bolstered each year by reintroductions of individuals born and reared in the care of humans. They can be found in two locations within the Laramie Basin in Wyoming, thanks to efforts by the U.S. Fish and Wildlife Service and other dedicated organizations including the Detroit Zoological Society. Wyoming toads were abundant until the 1970s when their numbers began to plummet due to the spraying of aerial pesticides, habitat alteration and the fungal infection caused by chytridiomycosis, which is decimating amphibian populations worldwide. By 1984, the species was listed as endangered and in 1993, that listing changed to extinct in the wild. That year, what were believed to be the last 10 remaining Wyoming toads were brought into a facility to safeguard them and begin a breeding program in the hopes of one day reestablishing the species in the wild. 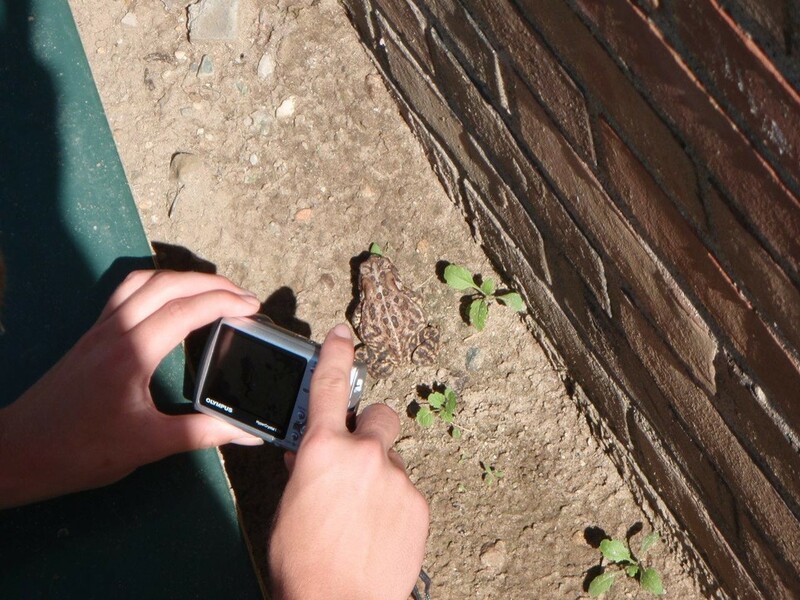 The Association of Zoos & Aquariums started an official Species Survival Plan for the Wyoming toad in 1996, a program in which the DZS has been very active, including releasing thousands of toads hatched at the Detroit Zoo since 2001. Through the efforts of this collaborative breeding program, more than 1,500 Wyoming toads are currently believed to live in the wild. 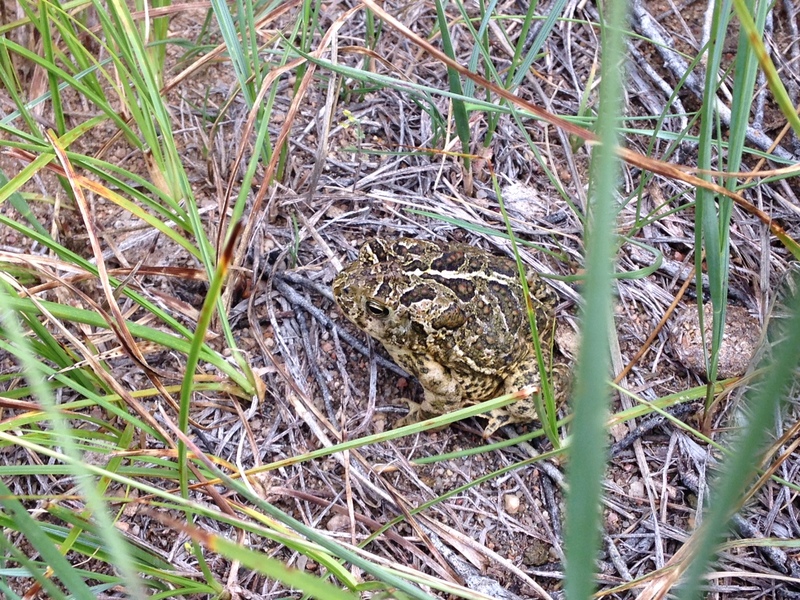 Because breeding success continues to be a great concern for this species, the Wyoming Toad Species Survival Plan established strict guidelines for habitat setup at the participating institutions. The habitats are rather sterile to reduce the potential development of any disease processes and consist of a dry area typically made of PVC, a water feature, a basking lamp and a shelter. This type of setup was necessary to properly monitor conditions to promote higher survival rate and breeding success. Due to the success of the reintroduction program, new habitat parameters can be explored, providing the toads with a more stimulating environment. It is important that we assess how this affects the toads and what preferences they might have. To that end, habitats are being created that provide the toads with a choice between the standard habitat and one that has more naturalistic elements, such as soft substrates, multiple shelters and water features of varying shapes and sizes. With the assistance of our current resident, Emilie Gupta, we will be studying the toads to determine if this choice is important to them. Providing animals with choices and agency – or control – over certain aspects of their lives has been proven to positively affect welfare in some animals. This research will augment what we know about amphibian well-being and will add a compassionate dimension to this conservation success story, in which ensuring the welfare of individuals is a critical part of protecting the species.